Toyota Kirloskar Motor announced having reached a significant milestone of more than 4 lakh happy customers for Etios Series in India. Designed for the Indian Market by the Indian minds, Etios series consisting of Platinum Etios, Etios Liva and Etios Cross has been one of the most popular choice of Indian families for its world-class quality, durability and reliability. It has been constantly updated with newer innovation to offer the best to the customers. Liva sales continue to witness a positive growth of 10% in April to September 2018 as compared to same period last year. 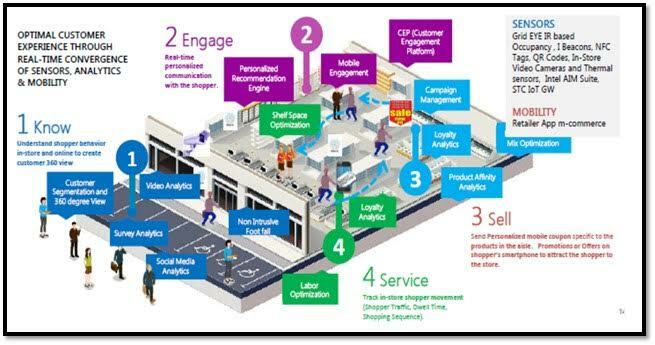 Toyota as a brand has been relentlessly customer-centric, listening to and anticipating what their customers need. The Etios series paved the way for Toyota to give responsibility at the regional level and helped India to move forward in product designing, with the strategy ‘safety first, customer first and Make in India by Indian engineers’. Etios Series has been in strong demand over the years since the launch of Etios in India in 2011, both personal segment and fleet customers appreciate the best in class comfort, unmatched safety features, high resale value, low cost of ownership and high fuel economy. Etios series has been constantly updated with refreshed new features, enhanced appeal, unbeatable safety features and newer technologies to add to customer delight. With the launch of the “Platinum Etios and Etios Liva” in September 2016, the company set new standards of safety, dependability, quality and performance. The bold design, premium new styling and plush new interiors which put the Platinum Etios and the New Liva in a league of its own, was designed to be the ideal family car. 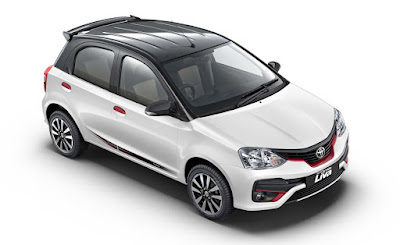 Toyota Kirloskar Motor also launched the new Dual-Tone Etios Liva with eye-catching dual tone design loaded with style and substance meticulously designed keeping in mind the modern taste of Indian customers. The Dual tone Liva has been widely appreciated by customers which has helped in pushing the growth of personal segment sales for Liva to 95%. To add freshness and cater to the changing taste of young Etios Liva buyers, the company recently introduced the Liva Dual Tone Limited Edition across markets in India. The limited edition radiates modern style with a more smarter and sporty look. TKM also launched the limited edition of Etios Cross called Etios Cross X- Edition in September last year with a more sporty and stylish look. It was loaded with a host of special add-ons to delight customers with youthful design, unbeatable safety features and unmatched performance. Etios series has set a safety benchmark in the industry being the first in segment to standardize dual SRS airbags and ABS with EBD across all grades, Front Seat Belts with Pre Tensioner & Force Limiter, Isofix Child Seat Locks for all models and all grades. Made-in India Etios has bagged 4 Stars at a crash test campaign organized by Global NCAP the international body that is involved in new car assessment in association with AA South Africa scoring 4 star rating in frontal adult passenger protection and three stars in child occupant protection. Saft, the world’s leading designer and manufacturer of advanced technology batteries for industry for a century, renewed its focus on India on the eve of its centennial celebrations. Saft completed the purchase of shares from its JV partner AMCO to establish Saft India to reinforce its partnership with Indian industries. “At Saft, we are exceptionally proud of our history. When we look at the past 100 years, we have always been at the forefront of creating the future technologies. Our batteries and systems have helped industries around the world with critical safety applications, back-up power and propulsion. We are increasing our focus on India now as Saft India to support the Indian government, the Make in India program and Indian industries. We look forward to accelerating our growth here,” said Franck Cecchi, Executive Vice President, Industrial Standby Division Chairman of the Board of Saft India. Saft has been present in India from early 1900s through Stone, UK, which helped to build Indian Railway operations. In 2006, the company began manufacturing in India through a joint venture with AMCO. Since then, Saft has been powering India’s critical space missions by ISRO, safe transportation through metros in Delhi, Uttar Pradhesh, Calcutta, Bangalore and Chennai, as well as building presence in telecom and standby power for industry. After 11 years of continuous growth in the Indian market with nickel-based technology, Saft acquired the remaining 49 percent of the joint venture company. “We would like to thank AMCO for their contribution to the growth of the joint venture, which has proven to be a successful partnership since 2006. Now, we are looking to strengthen our leadership position in India with an increased focus on rail, telecom and infrastructure. That is why we are increasing our investment in our plant, in both lithium-ion and nickel technologies This will allow us to continue to be more responsive to the needs of our Indian customers,” said Guy-Patrick de Broglie, GM Saft India. 2018 marks Saft’s 100th anniversary in business. For a century, Saft has designed, developed and manufactured battery systems to get energy to where customers need it - be that on land, at sea, in the air, or in space. Saft is a fully owned subsidiary of Total, a leading international oil and gas company and a major player in low-carbon energies. More than 3,000 industrial customers worldwide rely on Saft batteries for their long life and ability to function in the most extreme conditions. Today, Saft employs 4,300 people in 18 countries. The company has research centers in France and the US, where it has a particularly strong footprint, and 14 manufacturing sites and 30 sales offices across the world. At 100 years: Saft is focusing on the battery technology of the future. Saft is working with partners on an ambitious program of research, development and industrialization for new generations of batteries focusing on advanced high-density lithium-ion and Solid-State technology. The seven-year innovation program addresses all market segments, such as electro-mobility (EV, e-Bus, Railway, Marine, Aviation), energy storage and specialty industries. These new generation batteries will provide performance, cost and safety advantages, compared to current lithium-ion products. The batteries, which will be perfectly integrated into their system environments, with digitalized functions and interfaces, are planned to be designed together with leading material suppliers. They will meet the most stringent standards for sustainable development. Encouraging self-employment and entrepreneurship in India, Tata Motors Ace Gold kicked started a two month long ‘Ghar Lao Gold’ contest. Five lucky winners will get a golden opportunity to meet superstar Akshay Kumar and take home a brand new Tata Ace Gold worth Rs. 3.78 Lakhs. Additionally, weekly prizes of Rs. 5000/- each will be given to the top 10 entries. ACE Gold Leaflet AW A3 Poster-EngTo participate in #GharLaoGoldContest, participants are required to answer 3 simple questions and share a unique and innovative business idea with Tata Ace Gold. A distinguished panel will shortlist the best entries and the shortlisted participants will be invited to share their detailed business idea with the panel. Educational qualification is not the criteria but innovativeness of the idea is. Kicked started in August 2018, the Ghar Lao Gold Contest has received an overwhelming response. With over 19,000 entries so far, the campaign has become a huge success online and has garnered over 30,000 organic searches since its inception. It has also received over 3.7 million views on our Social Media Platform with over 2.5 lakh people actively engaging on our campaign page. The campaign has so far touched 6 million lives. 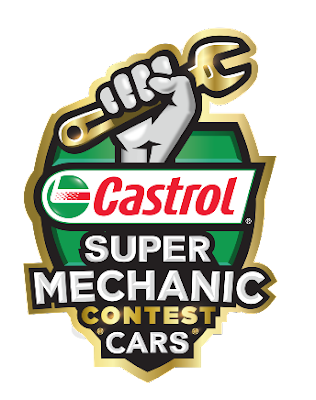 Last day to participate in the contest is September 30, 2018. Tata Motors pioneered the small commercial vehicle industry with the Tata Ace. Since 2005, thousands of businesses have relied on the Tata Ace for their transport and logistics needs. With a market share of 68%, Tata Motors continues to be the market leader in the Mini Trucks segment. With close to 2 million (20 Lakhs) vehicles on the Ace platform, plying on the roads today, Tata Motors is the undisputed market leader in the segment. Today, one out of every 3 commercial vehicle (goods carrier) sold is from the Ace family. For the first time in the world experience Ganesh Visarjan / Vinayaka Nimajjanam from Hyderabad live in 360 Virtual Reality via the App VR DEVOTEE on 23rd September 2018. Download the app and get updates on activities on the 23rd. Devotees from all over the world will be able to get an immersive experience of Vinayaka Nimajjanam as thousands of Lord Ganesha idols travel the distance to be immersed in the Hussain Sagar Lake amid festivity and fervor. The experience will be as real as being there. Developed by Kalpnik Technologies, a start-up leveraging VR and AR technology, VR DEVOTEE is transforming the way people connect with their faith. 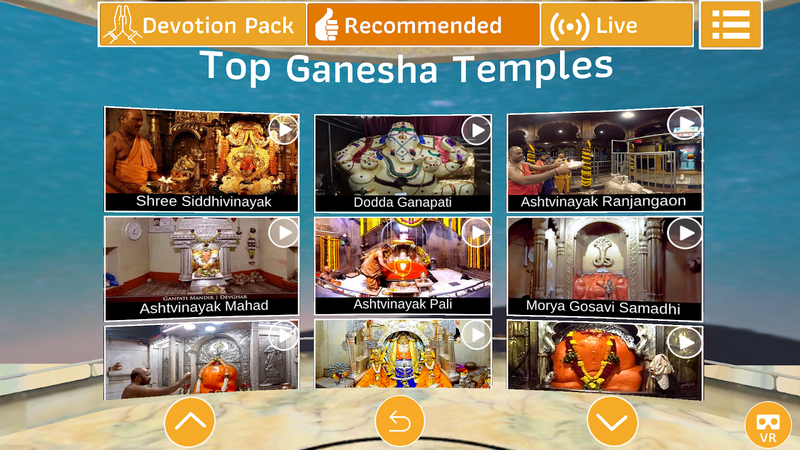 Devotees from across the globe who are unable to visit Hyderabad during Vinayaka Nimajjanam will now get an opportunity to witness the festivities along with lacs of devotees via VR DEVOTEE APP, in 360 Virtual Reality from the comfort of their home. VR DEVOTEE App is available free for download on Google Playstore and Apple App Store. To best experience the festivities and pujas, in a manner as if you are there at the venue you can buy a VR DEVOTEE headset at a highly discounted rate from the App or at www.vrdevotee.com. Or if you already have any VR Headset please use the same for a truly immersive experience.You can watch the Visarjan and the processions in 360 on your mobile phone too. Anil Kumar, IPS, Additional CP, Traffic whose idea this was said “many of my friends and relatives in other parts of the country and overseas often told me that it’s a pity that they were unable to be there on the occasion. Also, many elderly people were unable to experience the event save for on Television. So, when I heard about what Kalpnik was doing to help devotees immerse in devotion through VR, I reached out to them and they willingly agreed to shoot and live stream in real time the Visarjan. This is the first time that any Visarjan will be live streamed in VR and I am sure the experience will be Immersive”. 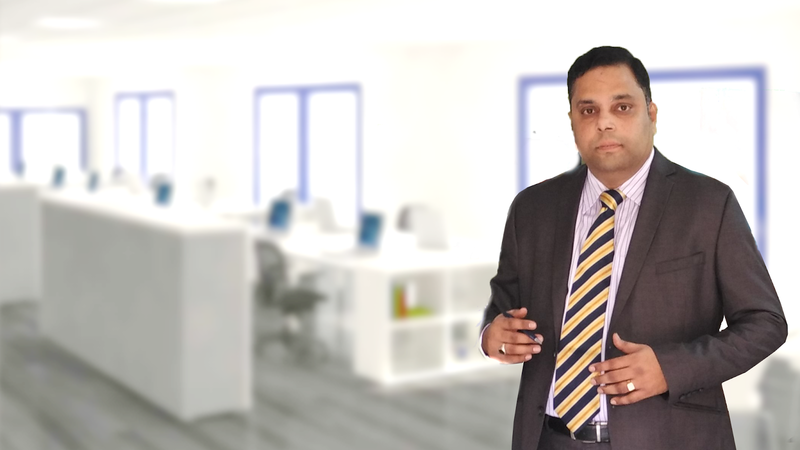 Ashwani Garg – CEO & Co Founder of Kalpnik Technologies Pvt. 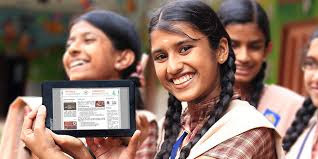 Ltd said “It is a privilege for Kalpnik Technologies to be able to connect people with their faith using cutting edge technology. With close to 250,000 app installs in 7 months, we are now live streaming Aartis and Pujas daily, based on the feedback we have received from our customers. Ganesh Visarjan will be a truly wonderful and immersive experience for those with VR headsets. Having invested in state-of-the-art live recording and streaming cameras and real time editing solutions we are now ready to serve our customers with an immersive experience. Kalpnik Technologies, in just over 7 MONTHS since its launch has 360 VR content from 45 temples and Spiritual leaders. We are also in the process of bringing an additional 150 temples. This is truly a blessing for Devotees who for various reasons like Ill health, age related issues, distance and time and financial constraints are unable to visit the temple. We are confident that by the end of the year we will have close to 200 temples Pujas and Aartis on our App, VR DEVOTEE”. 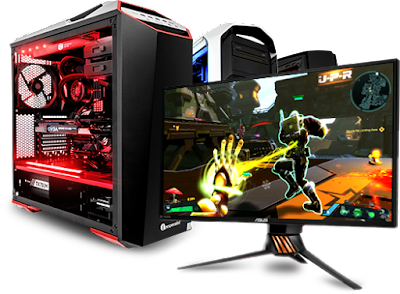 As “The Predator” movie is coming to theaters around the world, Acer and Twentieth Century Fox are joining global marketing efforts on the promotion of “Predator,” amplifying both the new movie—the 6th installment of the Predator’s film series—and Acer’s premium line of ‘Predator’ gaming PCs, monitors and gadgets, working together across both traditional and digital channels. "Acer is excited to work with Twentieth Century Fox to promote the ‘Predator’ gaming products and the classic movies of the same name,” said Chandrahas Panigrahi, CMO & Consumer Business Head, Acer India. “We hope that through this special collaboration, movie fans, both new and old can experience gaming, and that gamers hit the theaters to experience a different kind of thrill." Popular Indian premium leggings brand - Softline Leggings, is set to revamp their brand identity, and get on-board a new face - youth icon, Anushka Sharma as brand ambassador. With its new mantra, ‘Effortless You’, the brand aims to reach out to young women, who are comfortable in their own skin and live life on their terms, effortlessly! Softline fulfils their need for comfortable yet stylish clothing, in 100+ colours to suit their every mood. Softline Leggings, crafted for the youthful woman, is the most preferred brand of premium leggings in India, today. In over 10 years of business, the brand has grown with a PAN-India network and distribution. The portfolio boasts a variety of leggings, crafted from a unique 4D cotton stretch fabric that provide extra stretch and added comfort and are available in the following styles: capri, churidar, ankle length, shimmer, printed, winter etc. Manufactured in state-of-the-art units, this is a true ‘Make in India’ brand; continually providing quality products and intends to enhance distribution and further churn the wheels of innovation. Softline Leggings, by Rupa & Co. Limited (BSE: 533552 | NSE: RUPA), one of the largest knitwear company in India. While Anushka will endorse only Softline leggings, the brand is also available in innerwear and athleisure. Team India fought hard to earn the second runners-up position in the finals of a closely contested Castrol Super Mechanic Asia Pacific competition for car mechanics. As part of the ongoing month-long Foodie Fiesta, 1MG - Lido Mall is attempting to break the current Limca Book of Records with a 50-foot-long submarine sandwich. Each and every ingredient of the submarine sandwich including the bread, carrots, mayonnaise and more will be provided by the F&B outlets present in 1MG - Lido Mall. In line with the community spirit, all F&B outlets will get together as a single team from the mall to attempt for the Limca Book of World Records. While ensuring the visitors of the mall have had their fill from the submarine sandwich, a portion will be handed over to an NGO to ensure that the food that is prepared is shared with the community. Representatives from the expat community comprising more than 25-30 nationalities will also be invited to participate in the event, ensuring that the mall reaches out to everyone to share in the happiness. Foodie Fiesta – Season Five is a culinary series being organised by 1MG - Lido Mall to showcase the best of food and beverages comprising Indian, coastal cuisine, Continental and Chinese. The five-part series will provide an opportunity to enjoy these exotic and gastronomic treats through the month of September. “Food is something that is near and dear to each one’s heart. Everyone has a different taste and as a mall we cater to different cultures, people and taste buds. Food is used as a medium to talk to the heart and this helps us to connect to our customers through what they like,” explains Bhanu, Marketing Manager, 1MG - Lido Mall, Bengaluru. As part of the month-long fest, a slew of activities is planned including cooking classes, cooking competitions and much more. “1MG - Lido Mall is already a crowd puller for gourmet food lovers as it provides for a multitude of eating options. In a celebration of food clubbed with activities ranging from chef demos and mixology sessions to workshops and a gourmet market, we are excited to host the festival in Bengaluru, which is a food lovers’ paradise,” adds Roby Varghese, Centre Manager of 1MG – Lido Mall. India Electronics and Semiconductor Association (IESA), the premier trade body representing the Indian electronic system design and manufacturing space, hosted the 1st edition of SPACETRONICS 2018 to facilitate discussion on Space technology and policies. ISRO Technology Incubation Centre, Agartala was launched remotely by Biplab Kumar Deb, Chief Minister, Tripura in presence of Dr. K V Sivan, Chairman, ISRO ; Dr. A S Kiran Kumar, Former Chairman, ISRO ; Dr. P V Venkitakrishnan, Director, CBPO, ISRO ; Dr. H K Sharma, Director, NIT, Agartala ; Anil Kumar Muniswamy, Chairman IESA and MD, SLN Technologies and other dignitaries at the Inaugural session of SPACETRONICS 2018. The inaugural session was graced by the presence of Biplab Kumar Deb, Chief Minister, Tripura as the Chief Guest. Sharing the stage was Dr. K Sivan, Chairman, ISRO; Dr. A S Kiran Kumar, Former Chairman, ISRO; Dr. P V Venkitakrishnan, Director, CBPO, ISRO; Dr. H K Sharma, Director, NIT, Agartala; Anil Kumar Muniswamy, Chairman IESA and MD, SLN Technologies, who addressed the audience on the necessity to focus on the unbridged talent pool, need for accelerating investment promotions, international alliances, start-up ecosystem and policy implementation to strengthen innovation and facilitate entrepreneurship in the Space Technology domain of the country. 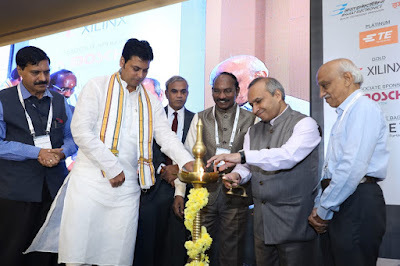 SPACETRONICS 2018 is a leadership conclave for the Space Technology ecosystem attracting a powerful line-up of industry experts, thought leaders, policy makers, government officials, business and technology experts, entrepreneurs who shared their views and vision on the Space technology and policy as well as the trends, challenges, and opportunities shaping the Indian industry. The other key activities of the summit were ISRO workshop on “Avionics, Tracking & Telemetry, Satellite Components, Space Applications, Process Automation, Surveillance Systems, Vendor Registration process and much more” and keynote addresses by Yousef Khalilollahi, VP Core Vertical Markets, Xilinx Inc and by Rahul K Mathur, Director, TE Connectivity. A pledge drive by companies was also executed with ESSCI for the Skill India Campaign. While early stage crypto investors have multiplied their investments, many people who have started a couple of months ago have suffered heavy losses in their crypto portfolios. 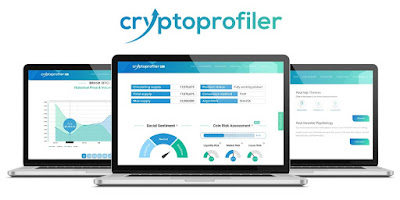 Cryptoprofiler bridges the gap of investor protection framework between traditional investment world and crypto space, by transferring investor risk profiling into the latter. In addition, the product risk classification provides insights into market risk, liquidity risk and product risk of cryptocurrencies. The beta solution provides a light version of the suitability assessment to determine investor’s knowledge, experience, risk capacity and risk tolerance. The more comprehensive and in-depth assessment will become shortly available to users in the login area. Learning resources covering crypto risks and behavioral biases are aimed to enhance investor understanding of the dynamic crypto market. The latest feature is a portfolio risk analysis tool with alert function. KnowledgeHut is a fast-growing Management Consulting and Training firm that is a source of Intelligent Information support for businesses and professionals across the globe. 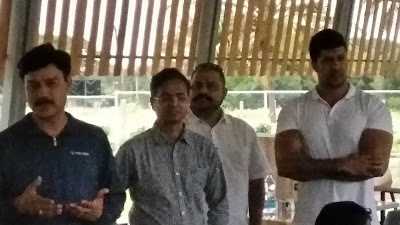 Established in July 2011, as a start-up with shoe string budget of INR.Rs 8 lakhs only, KnowledgeHut has grown from the dreams and aspirations of its three founders, Madarapu Nagaraju, M. Subramanyam Reddy and Manjunath V.
Today, KnowledgeHut is one of the largest training institutes in the country and is fast expanding its global presence. At present training is carried out in over 70 countries; with operations overseen by the Bangalore office. At present training The institute provides Professional Certification Training, Customized Coaching, and Consulting that help to lead businesses to the next level, and achieve higher business growth and profitability. KnowledgeHut offers comprehensive training in programs that include PMP, Agile and Scrum, Digital Marketing, MS Project, Hadoop, CompTIA Cloud Computing, PRINCE2 and many more sought-after professional courses. KnowledgeHut imparts Training through flexible delivery modes-Classroom training, on-site, and Online Training (E-learning and Instructor-led Online Classroom Training). KnowledgeHut follows the Global Blended Model Approach (GBMA) in their classroom training. Their e-learning is provided through the KnowledgeHut LMS which is SCROM1.2 compliant. Within a short span of four years since inception, KnowledgeHut has delivered insight to approximately 50,000+ employees in 70+ countries across industries that range from Information Technology and Services, Financial Services, Insurance, and Banking to Sales & Marketing, Computer Software, Computer Hardware, Construction, Healthcare, Infrastructure, Management, Consulting, and Retail. 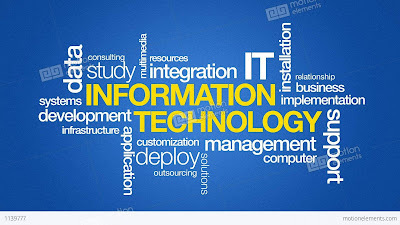 Their clients include HP, WIPRO, Accenture, IBM, Coca Cola, Boeing, Dell and HSBC to name a few. Polaris India Private Limited has opened another branch of 'Dirt Mania Adventure' zone at Nandi Hills near Bengaluru. This is the 84th Polaris Experience Zone (PEZ) in India, where enthusiasts can come and experience off-roading challenges on Polaris ATVs (all-terrain vehicles). Infact, Dirt Mania Adventure has partnered with the Hip Café Hangout, located on the foothills of Nandi and opened a one-stop destination for all enthusiasts looking for adventure and thrill. The PEZ offers visitors the thrill and exhilaration of Polaris vehicles on a dirt track with slush pits, water holes, humps, sand and stones. Polaris says that PEZ ensures adrenaline-pumping action and a fun-filled itinerary for visitors from all age groups. This is second of Dirt Mania Adventure in Bengaluru after the Kanakpura branch opened some time ago. "The addition of another PEZ in Bengaluru consolidates our position in the state of Karnataka," said Pankaj Dubey, Managing Director and Country Head, Polaris India Pvt Ltd. "The beauty of India is still uncaptured and we offer the unmatched expereince to adventure and sports enthusiasts. 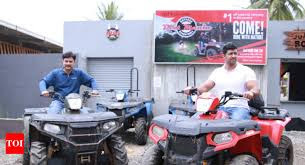 It not only acts as an arena for people to experience an off-road riding adventure, but also provides a business opportunity to entrepreneurs, amusement park owners and corporates looking for adventure close to the city." 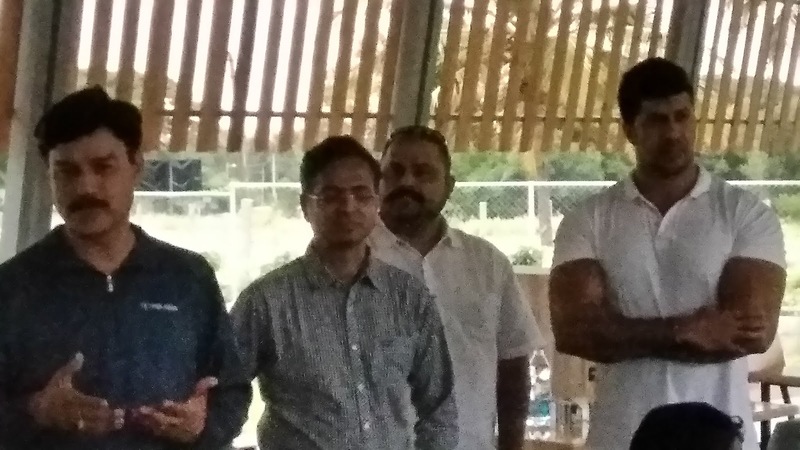 Commenting on the occasion, Jayaraman Parameswaran, Co-found Co-founder, Dirt Mania Adventure, said, "The off-roading cul lture in the region has grown and the opening of another branch of Dirt Mania Adventure is a strategic move to cater people living in different parts of Bengaluru." He adds that the new facility will be catering to all levels of off-road enthusiasts, ensuring high levels of fun and adventure quotients. Also several madels of Polaris ATVs are available at the new PEZ. Polaris India also has 83 other such PEZ spread all over India and growing at about 15 percent annually to reach out to people and in turn give the participants a chance to experience the off-road riding experience within their city. It's off-road vehicles are widely used in sectors such as defence, paramilitary forces, agriculture, entertainment and tourism, among others across the country. Hospitality firm OYO said it has forayed into the United Kingdom and intends to invest GBP 40 million (approximately Rs 382.93 crore) for its expansion in the country. This is the company’s first market beyond Asia, OYO said in a statement. The company plans to invest GBP 40 million into the UK market and looks to launch in 10 cities in UK including Manchester, Birmingham, Glasgow and Edinburgh by 2020, it added. 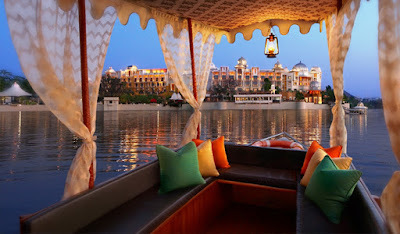 The company is thrilled to now be able to offer its affordable, hassle-free and quality living experiences to guests across the UK and to be empowering the UK independent hoteliers with the technology and operational expertise that helps them focus on customer experience and thereby generate increased, sustainable incomes, he added. The UK business will be led by British entrepreneur Jeremy Sanders, who co-founded the British restaurant chain, Coco di Mama, the statement said. Shriram Life Insurance Company, the life insurance arm of financial services conglomerate, Shriram Group has bagged the 3rd Edition of India’s greatest brands and Leaders for the year 2017-18 in recognition of the contribution of distribution of life insurance in non-urban markets in India. 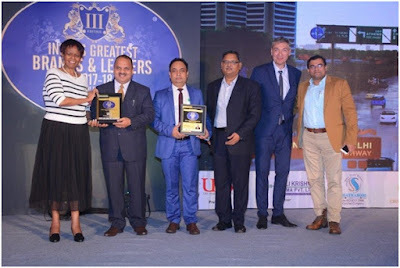 On behalf of Shriram Life, the awards were received by Manoj Jain, Managing Director and Arvind Shivhare Executive Director- Direct Channel & Dr R Radhakrishnan, Chief Marketing Officer, Shriram Life Insurance in an awards ceremony held recently at Mumbai in the Pride of the Nation Series Awards organized by URS-Asia One magazine and URS Media Consulting – process reviewers Pricewaterhouse Coopers P.L. Shriram Life Insurance focuses on the common customer segment with over 50% of its policies sourced from the rural area and a significant chunk from the tier II and III towns. Shriram Life works with the purpose of providing life cover to these families that are most vulnerable to financial catastrophe due to untimely loss of a breadwinner. The company has been engaged spreading the protection net to the masses, with special focus on financial inclusion for the segment that is generally ignored by the mainstream players. To cater to this group, the company has unique distribution processes and products. “It is indeed a proud moment for us at Shriram Life Insurance. We strive for Inclusive growth by taking life insurance -The 'AAM AADMI' (Common Man) and this award reinforces the commitment of the company to reach out to the masses”. Two years after the successful introduction of Fare Choices, Jet Airways - India’s premier international airline has announced further enhancements. 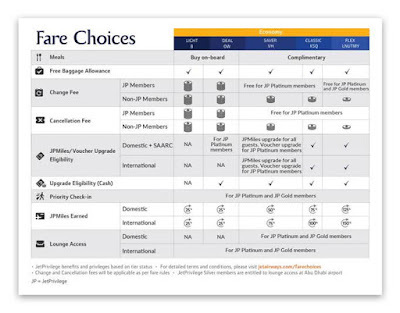 Fare Choices as the name suggests, is Jet Airways’ flexible, tier-based, fare-choice system that empowers our guests to customize their travel experience with the airline by choosing their preferred fare and a carefully tailored service experience comprising of benefits that they would most value as per their travel need. The revised offering under Fare Choices will now allow guests to enjoy more value for money, by letting them choose a travel plan based on their preference, travel requirements and budget. Currently Fare Choices in Economy offers a total of five fare options viz. ‘Light’, ‘Deal’, ‘Saver’, ‘Classic’ and ‘Flex’. Jet Airways has now unbundled fares in ‘Light’ and ’Deal’ categories of Fare Choices in Economy for flights within India (domestic network), as consumer surveys clearly reveal that guests want the flexibility of enjoying competitive fares with the options to buy meals. From 25th September 2018, guests travelling in Economy and booking ‘Light’/’Deal’ fares for travel from 28th September 2018 on its flights within India, will not only be able to avail competitive low fares but have the opportunity to buy meals from a specially curated on-board menu. Guests can choose from vegetarian and non-vegetarian meals, including hot meal options on select flights and pay using their debit / credit cards. Complimentary beverage service including tea and coffee to all guests in Economy (including ‘Light’/’Deal’ fares), will continue on eligible flights. The airline will continue to offer complimentary meals across ‘Light’/’Deal’ Fare Choices for guests who have made bookings prior to 24th September, 2018. On flights within India, all features and benefits, including complimentary meals will continue for Economy fare options viz. ‘Saver’, ‘Classic’ and ‘Flex and for all fare options in Première. However, on our international flights, all features and benefits under First class, Première and Economy remain unchanged. JetPrivilege members travelling across all Fare Choices, continue to enjoy the ability to earn JPMiles on all their flight activities as well as redeem their JPMiles for award flights across its extensive domestic and extended international network, along with its partners covering over 1000 destinations worldwide. The airline also offers its state-of-the-art, free, wireless streaming in-flight entertainment on its Boeing 737 fleet across its entire domestic network and all guests will continue to enjoy its unmatched on-ground and in-flight Indian hospitality. Commenting on the development, Raj Sivakumar, Senior Vice-President – Worldwide Sales & Distribution, Jet Airways, said, “Service philosophies and models are being reviewed and remodeled by global airlines virtually every day given that guests today - especially millennial travelers – wish to be empowered and exercise their right of choice. As India’s premier international airline, we are perceptive to these changes and endeavor to align our service framework to embrace such needs of various segments of consumers. Our first such measure was the introduction of our Fare Choices concept in 2016. Our latest initiative is a step ahead in terms of flexibility and being receptive to our guests’ preference to facilitate greater choice and convenience. We’re sure this decision will be appreciated by our guests even as we continue to evolve and adapt to changing guest needs”. Elaborating further, Belson Coutinho, Sr. Vice President – Marketing, eCommerce & Innovations, Jet Airways said, “Consumer needs have not only evolved but have also fragmented at the same time with empowerment, choice and flexibility considered as hygiene factors. As a global airline, we constantly track trends, review guest feedback and preferences to be able to stay on top of such trends and innovate our product and service offerings. This unbundling initiative will ensure we stay relevant to guests’ needs and empower them to choose from fare options that suit them based on their travel needs”. *All fare options and its complete features and benefits in Economy are in the table embedded within this press release. Bentley Institute recently organized its first ever Product Training Partner Summit 2018 on September 14 in Bengaluru, India. 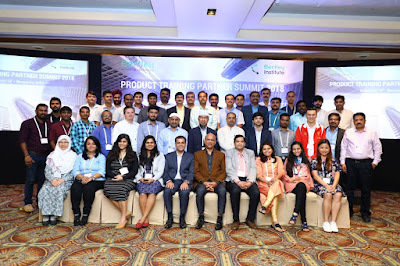 The objective of the Summit was to establish a knowledge-sharing platform to apprise the authorized Product Training Partners about Bentley Institute’s vision, upcoming plans, current industry trends and opportunities to enable Bentley Institute and its stakeholders align their growth paths. Bentley Institute’s Product Training Partners from India, Middle East and South East Asia attended the Summit. Vinayak Trivedi, Vice President, Global Head, Bentley Institute delivered the key note speech about ‘Going Digital’ with Bentley’s technology, introduced the audience to various facets of Bentley Institute and the variety of programs offered by the Institute to help existing and future industry professionals advance in their infrastructure careers. He also stressed on the effects and solutions of the existing skill gap in the infrastructure industry and potential solutions and avenues available for up-skilling of talent. Vinayak Trivedi expressed, “In the current scenario, the focus of the infrastructure industry professionals is to execute projects within limited time in a cost-effective manner, without losing focus on digitalization. For existing industry professionals and future professionals to be employable, it is important for them to upskill their knowledge with practical experience of using cutting-edge technologies and tools. Our Product Training Partner Program offered by Bentley Institute enables them to achieve it”. Rishabh Tandon, Manager, Product Training Partner Program, Bentley Institute informed the audience about the program vision and the way forward. Sudipto Goswami, Director, Bentley Institute Press, shared inputs about the various content initiatives for training the industry professionals and briefed about the Building Information Modeling (BIM) fundamental course & assessments. 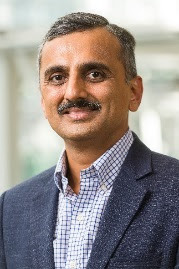 The Summit also hosted technology experts like Mr. Sajit Nair, Director Product Management, Bentley Systems, who shared insights on the critical need for developing sustainable infrastructure and the solutions offered by Bentley for civil structures, airports, tunnels, culverts, tanks, bridges, buildings and plants. He further explained the opportunities which ‘Product Training Partners’ can leverage from such a diverse portfolio. M Rajathurai, Senior Services Manager, User Success at Bentley Systems presented use cases on how Bentley’s CONNECT Edition is helping industry partners in ‘Going Digital’ and advancing their workflows. He also highlighted the new capabilities of CONNECT Edition which will help advance team productivity and efficiency. He concluded the talk with the solutions offered by Bentley Systems for implementing better infrastructure outcomes, especially in road and rail projects. Flipkart, India’s largest e-commerce marketplace, in the run up to the festive season has introduced a new payment option ‘Cardless Credit’ which will enable millions of Flipkart customers to get an instant credit line of upto Rs 60,000 to make their festive shopping experience affordable while being able to buy more. This is a continuation of Flipkart’s fintech journey which started with ‘Buy Now Pay Later’ and has helped customers get a convenient and worry free shopping experience. As the festive season kick starts in India, and Flipkart gears up for its Big Billion Days, customer aspiration and need to buy more is at the centre of conversation. Flipkart is introducing cardless credit as a customer focussed initiative that will simplify access to credit in real time while simplifying credit assessment and application process. Customers will be able to get instant credit which they can use to make purchases on Flipkart. This is aimed at millions of credit worthy yet underserved customers who the traditional banks are not able to serve / underwrite credit for. 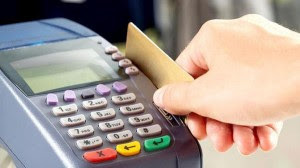 Credit cards are also a very metro phenomenon and as per industry estimates only 20 million people have a credit card. In the last 10 years, Flipkart has simplified e-commerce and made efforts to make it more inclusive. Cardless Credit is a step in the direction to make e-commerce more inclusive and help customers with small ticket credit line while they make a purchase at Flipkart. The current process of getting access to a credit card takes ~ 10 days and the high cost of getting credit makes small ticket-size loans cumbersome & unviable. 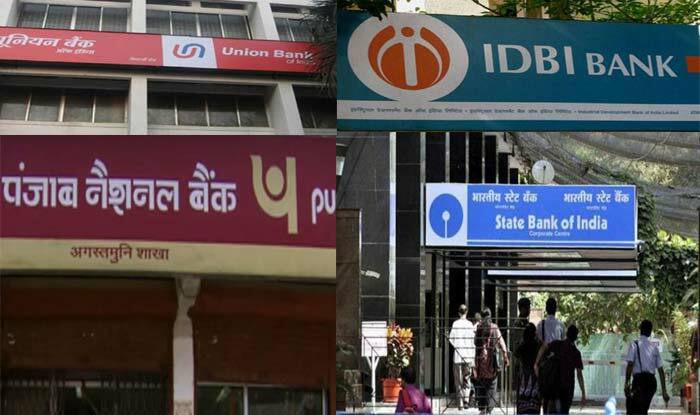 Most of the customers do not get credit due to inability of the Indian banking industry to underwrite new-to-credit customers due to lack of data & insights. In India ( as per RBI estimates) there are only 20 million credit card holders/ customers and of the 400 million potential credit worthy Indians the credit coverage only has a penetration of about 20%. This credit line can be used to purchase any product on Flipkart using EMIs or Pay Later (payback by 15th of next month). As organizations look to expand the value of analytics, developers are playing a key role in creating new and innovative answers to big data and IoT challenges through advanced custom analytics. Qlik is committed to helping developers take on any business need they can imagine more easily through analytics in all its forms. Today Qlik reconfirmed that commitment by expanding the developer analytics canvas with the general availability of Qlik Core, the company’s platform for building new classes of data-driven applications leveraging the Qlik Associative Engine. • The ability to be managed with Kubernetes for implementing, scaling and managing containerized applications. Qlik Core extends the company’s portfolio of developer platforms for supporting a broad range of analytical use cases and environments. Also available to developers, the Qlik Analytics Platform includes more end-user visualization capabilities to speed the delivery of more custom and embedded visual and dashboard analytical applications. 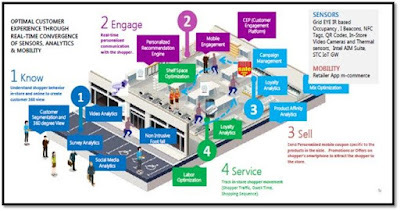 “There is no one size fits all analytical tool. That’s why Qlik has invested so heavily in its platform, community and open-source components, with layers of capabilities that unlock the value of data in any imagined environment, across the broadest range of use cases,” said Fisher. The general availability of Qlik Core coincides with the website relaunch of Qlik Branch®, the 30,000+ Qlik developer community. Along with the recent debut of the Qlik Trusted Extension Developer (TED) program, Qlik continues to build out its overall developer experience and support for the growing analytics open source community. From hands-on products, to extension accreditation and a community where developers share experiences and build together, developers have a partner in Qlik along the entire journey from ideation and concepting to full innovation through analytics. Cinthol, a brand that has been leading for over 66 years, today, announced its foray into the male grooming market by launching 8 new variants for face, body, hair and beard applications. Cinthol’s male grooming range was unveiled by Mr. Sunil Kataria, CEO – India & SAARC, Godrej Consumer Products Limited (GCPL) in a grooming show with Asian Games gold medallist Arpinder Singh and actor Harshvardhan Kapoor as showstoppers. With this launch, Cinthol becomes the first ever brand to offer complete grooming solutions in the INR 5,500 crore male grooming market. Cinthol is one of the most iconic brands for men in India and has witnessed the evolution of men understanding them better. Cinthol’s male grooming range is a comprehensive offering with innovative, multi-benefit and functionally superior products, specially made for today’s awesome men. Cinthol male grooming range consists of 8 new products that includes Cinthol Shave + Face Wash & Cinthol After Shave + After Trim (Face), Cinthol Head to Toe Wash (Body), Cinthol Hair Cream & Cinthol Hair Gel (Hair) and Cinthol Beard Oil, Cinthol Beard Wax & Cinthol Beard + Face Wash (Beard). Trusted by 47 million households, Cinthol is INR 750 crore flagship personal care brand, celebrating the spirit of feeling alive. With premium international fragrances and innovative designs, Cinthol is undoubtedly one of the coolest grooming experiences across soaps, deodorants, talcum powders and shower gels. With its entry into the male grooming market, Cinthol aims to become the grooming choice of vibrant, young India. With the remarkable success of the inaugural edition of SBI Green Marathon, country’s largest commercial Bank announces the launch of its 2nd season. In its second edition, this mega event will be held in 15 cities across the country pledging for a greener future. The SBI Group is organizing a 5K, 10K, 21K run on the 2nd of December in Bangalore. The event is going to be a zero-waste event and is expected to witness close to 4700 participants who will run to spread awareness about the importance of cleaner and greener globe. SBI General Insurance is going to be the health partner for SBI Green Marathon whereas SBI Life, SBI Mutual Funds and SBI Cards are also significantly contributing to this cause. The 15 city marathon event will start from 30th of September, 2018 in New Delhi followed by Lucknow, Hyderabad, Mumbai, Kolkata, Bangalore, Trivandrum, Guwahati, Bhopal, Bhubaneshwar, Chennai, Chandigarh, Ahmedabad, Patna and concluding in Jaipur on March 4, 2019. The run category for this fiscal’s SBI Green Marathon would include 5K, 10K and 21K. The “Run for Green” theme of this marathon event recognizes every participating individual as agents of change for a greener globe. All the participants will be given organic t-shirts to promote healthy and greener city. Even the runners’ bib would consist of seeds which can be planted after the Marathon. Also bio degradable and recyclable material is to be used by the bank making this a zero waste event. Nandan Petrochem Limited (NPL), a leading manufacturer of genuine oils, greases, specialty oils and AdBlue/DEF announced the appointment of Alisha Abdullah – India’s first female racing champion as its brand ambassador, for its signature brand VELVEX, in the Lubricating oil and AdBlue segment. Alisha's association with VELVEX offers an opportunity to leverage the symbiotic synergy between the fast action motorsports and VELVEX brand ethos of passion, persistence, performance and competitiveness. With a vision to be closer to the customer through presence in multiple locations and regional plants, VELVEX has been developed to provide complete satisfaction by offering value for money with environment conscious premium quality products. Driven by the best-in-class German technology, and accelerating growth through innovation in total lubricant solutions , NPL strives to deliver high performance in all odd situations. “Passionate about motorsport, I am excited to be associated with VELVEX as a leading brand known for its high-performance lubricants and AdBlue. This is indeed the first time that a female motorsport champion is the face, the brand ambassador of an auto lubricant brand, in an industry that is highly dominated by male brand ambassadors. This association with VELVEX is a reflection of a symbiotic relationship of maintaining the competitiveness at both ends, and I look forward to an exciting journey together.” said Alisha. 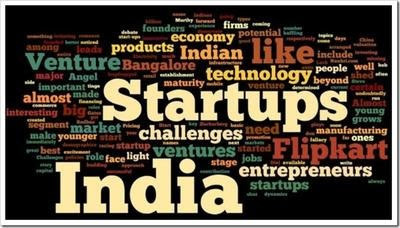 Partnering with government’s Make In India initiative, the company increased its production by twelve times in the past fifteen months by leveraging world class technologies, and pursuing deep innovation to setup state of art infrastructure with seven manufacturing plants PAN India to produce indigenous products and setting global standards in industry. Having commissioned first AdBlue plant in 2011, NPL is India’s largest manufacturer of AdBlue, a high purity, chemically produced solution that helps diesel vehicles reduce NOx emission and maintain environment friendliness. The upcoming BS VI norms are expected to mandate usage of AdBlue in all passenger and commercial vehicles powered by Diesel Engines and NPL is set to increase its output capacity to meet industry demands. In its position as the market leader for AdBlue, NPL is also actively liaisoning with the authorities to initiate a mechanism to regulate the quality of AdBlue. Usage of substandard AdBlue defeats the purpose of BSIV and BSVI implementation causing damage to the environment through harmful emissions and failure of vehicle resulting into heavy repair cost to the customers.